There are train excursions and different hikes that lead to Machu Picchu, the well-known Inca Trail and the Salkantay Trek being the most famous ones. 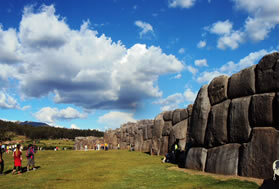 Please consider booking these excursions before arriving to Cusco – also the train excursion. 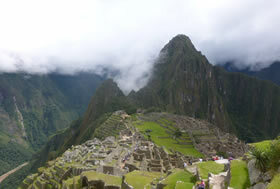 The Inca Trail needs to be booked between 2 – 4 months ahead. You can take a day tour, or take a bus and get there by yourself. This last option is nice, but definitely also a bit slower as you need some more time to cover all the villages of which Pisac, Chincheros and Ollantaytambo are the most important ones. You see amazing Inca ruins here and colorful local and tourist markets. Tambomachay, Pucapucara, Qenko and Sacsahuaman. 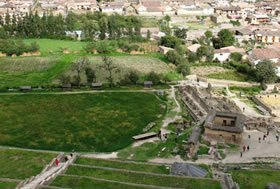 A visit to those four ruins is part of the organized half a day city tour; again, you can also take a bus or taxi up to Tambomachay, and come back walking to Cusco passing the other three ruins. The ruins of Sacsahuaman deserves a special visit; those are big and it is said that there are bigger stones here than ever found in Inca Peru, not even in Machu Picchu. It is only a 15 minute walk uphill from the Plaza de Armas, through the San Cristobal neighborhood. The Plaza de Armas is the centrally located main square of the city of Cusco. Here you will find many important tourist sites such as the Catheral, the Iglesia La Compania, and only a few blocks away other important Plazas, and Inca walls. Plazas: Make sure to carefully enjoy the different Plazas of Cusco such as the Plaza de Armas – the main square, the Plaza Regocijo, the Plaza San Francisco and the Plaza Nazarenas, among others. 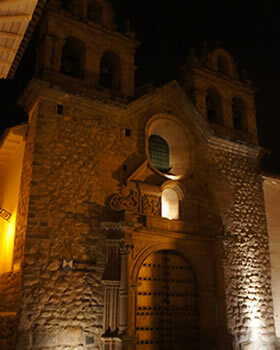 Churches: Cusco is full of churches and the people love them. La Catedral, La Compania, La Merced, Santo Domingo, The Church of San Blas. Inca Walls: Many buildings in Cusco were built on Inca Foundations and there are some amazing inca walls to be seen in Cusco of which the Piedra de los Doce Angulos (the 12 Angled Stone) is the most impressive one in the calle Hatunrumiyoc, a narrow pedestrian street close to the Plaza de Armas. 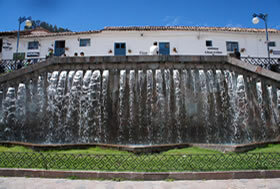 Museums: Cusco offers a fine selection of museums. On one hand the more traditional ones such as the Museo de Arte precolombio (a must visit! ), the Museo Regional, the Inca Museum and others; on the other hand there are new, more alternative museums such as the Chocolate Museum, the Coca Museum and the Children’s art museum. Walk up the Cuesta San Blas with calm in order to keep on breathing and start enjoying the small typical souvenir shops of San Blas in and around the Plaza San Blas and surrounding streets such as Carmen Alto. Slightly hidden behind the Plaza but within the neighborhood you can find the Mercado de San Blas. Not as big and not as nice as the San Pedro Market but still worth a short visit.